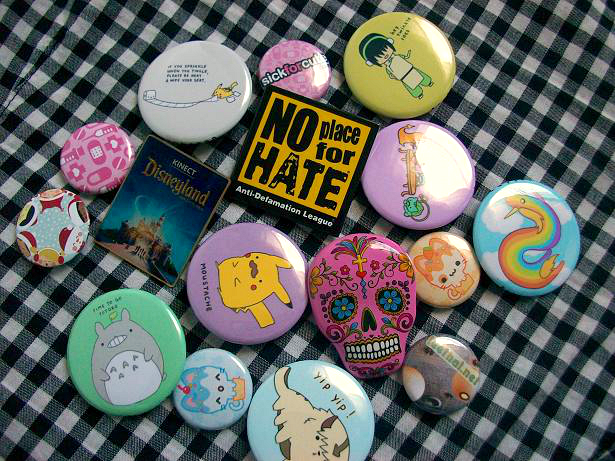 I've been collecting pins since last year and since then my collection has grown a lot (thanks to my older sister). 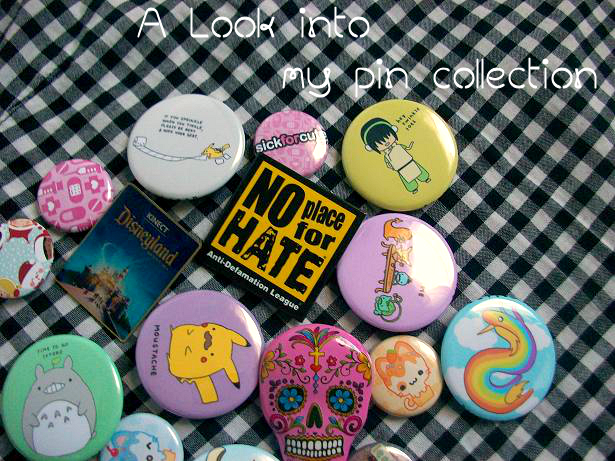 In order to see how my collection will grow this year I decided to make this post to document my current pin collection. 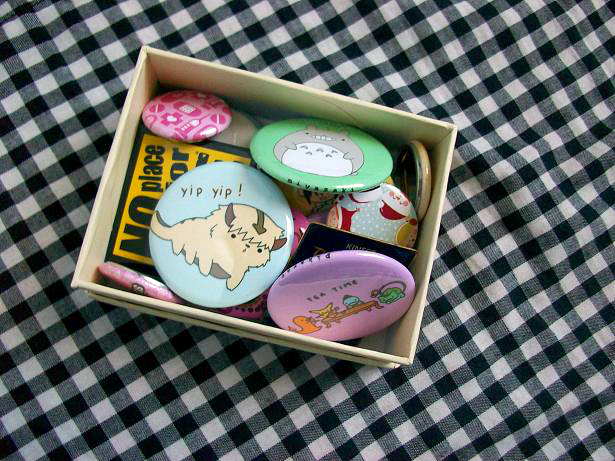 I'm also thinking about collecting brooches because they're a close relative to pins (and cute). 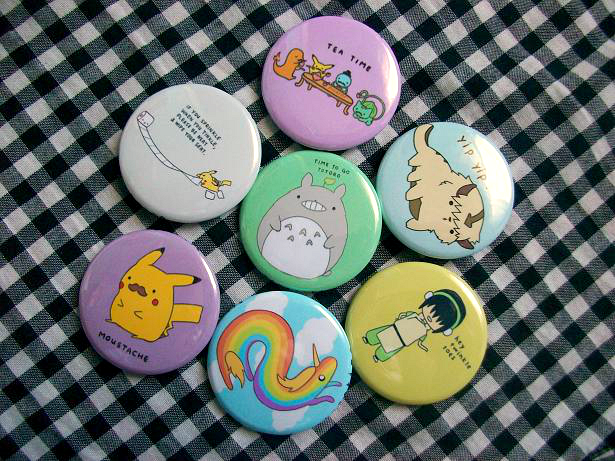 If you know of any cute places that sells pins or brooches let me know! 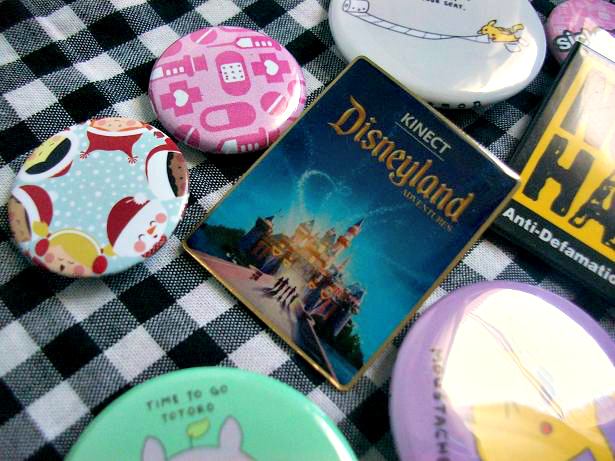 When we bought Disneyland Adventures they gave us a few of these pins so each one of my sister's has one. 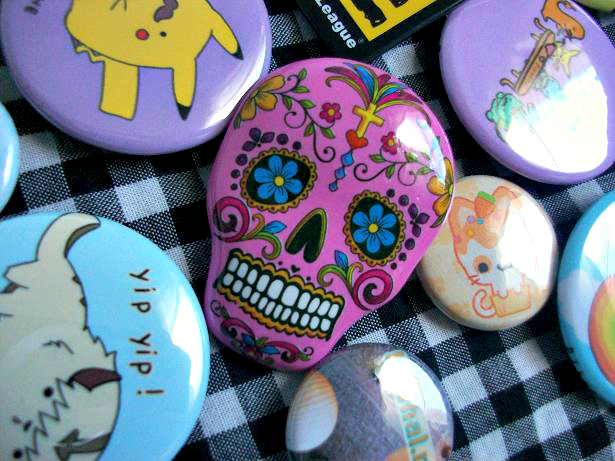 I got this pink candy skull pin while shopping with my sister during Christmas. I got her a sliver one. 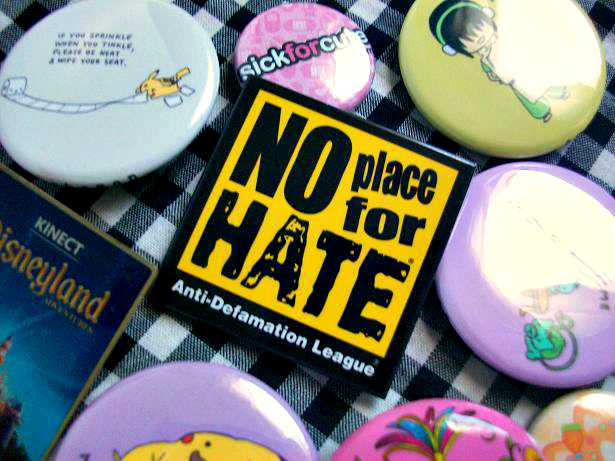 I got this pin when I was in my high school's diversity club, we did a whole "No Place for Hate" campaign and everything. This pin brings back so many memories! These are my smaller size pins. 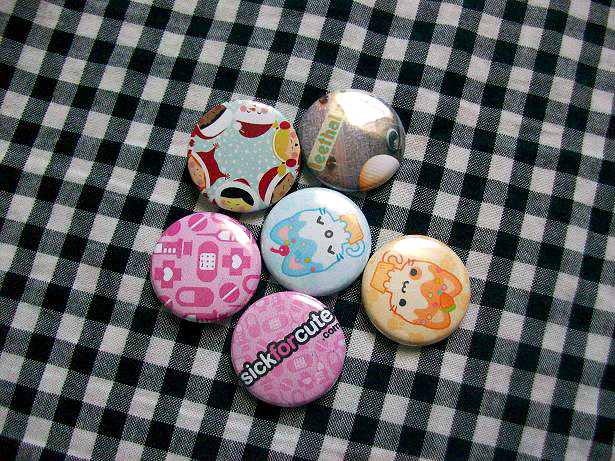 The pink ones are from Sick For Cute. The pin with the kids with the Santa hats on I got from some store during the holiday season. My older sister gave me the leethal and cupcake kitty pins. My older sister gave me the Lady Rainicorn pin from Pikarar. I loved her pins so much that I decided to contact her and we decided to swap (that's where I got the other pins). As for storage, I've been storing all my pins in this box but it's getting a bit cramped so I'm currently looking for a cute storage space for my pins. I do plan on pining them somewhere eventually but as of right now I want to keep them stored somewhere cute. Any suggestions on where I should keep my pins?